The Holly Hill Inn Wine Guild offers monthly tastings and special event wine dinners. join the holly hill inn's wine guild! Joining the Holly Hill Inn Wine Guild is free! For information, a reservation or to sign up for Barreling Along, our Holly Hill Inn Wine Guild newsletter, please click here to e-mail guild director Steve Mancuso. A 2019 Wine Guild Season Pass guarantees admission to the monthly Member Tastings and costs $420. The Season Pass works out to $35 per tasting. Month-to-month admission in 2019, when available, will be $40 per person. Membership also includes a 50 percent discount on a bottle of wine from the award-winning Holly Hill Inn Wine List, to be used during 2019. 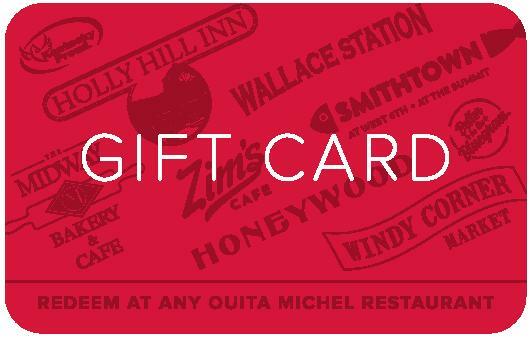 If you don’t use all of the 2019 tasting fees during the year, the balance will be refunded as a gift card for use at any Ouita Michel restaurant. Wine Guild Season Passes will be sold on a first-come, first-served basis. To join, call the Holly Hill Inn office at (859) 846-4732. Please click here to contact Wine Guild director Steve Mancuso if you have any questions. The Holly Hill Inn has received the Wine Spectator Award of Excellence every year since 2002. The Holly Hill Inn's wine list features selections chosen carefully by owner Chris Michel. Chris is dedicated to finding the best and most interesting wines from the United States and abroad to pair with Chef Tyler McNabb’s cuisine. A popular feature is Chris' Wine Flight, which pairs three unique wines with three courses on the menu for one special price. Ask our staff to suggest wines by the glass or by the bottle that will complement your dining experience.